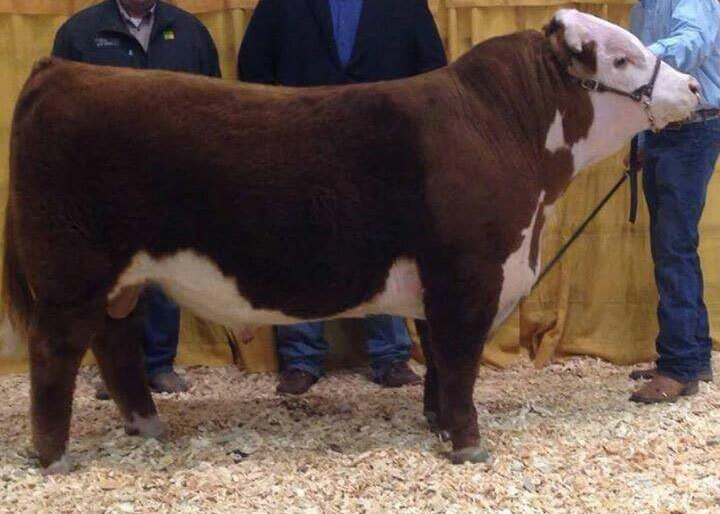 Grand Champion Hereford bull of the 2014 BHSS in Rapid City, SD. He was admired by many for his huge hip, stout build and overall shape. Look for his calves in upcoming sales. Owned with Hutchinson Ranch.